We suggest you have some tissues handy. 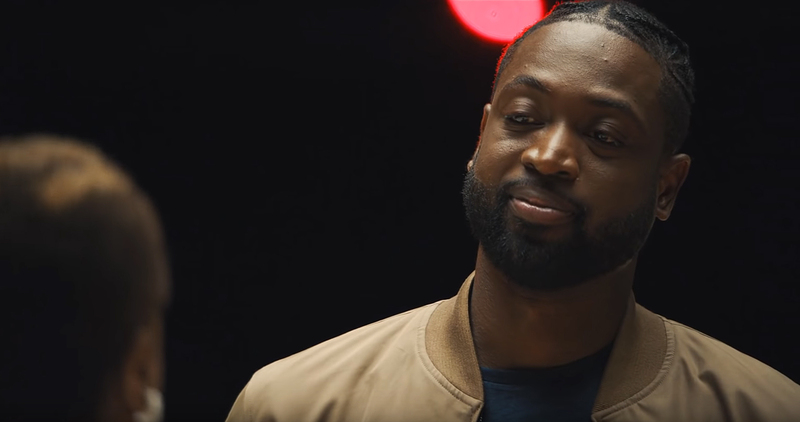 A new Budweiser commercial that debuted on Tuesday, April 9, honors the journey of basketball legend Dwyane Wade, who played his final professional game on Wednesday. However, instead of paying homage to Wade’s career on the court, the video honors all he has accomplished outside of sports. As the nearly four-minute ad explains via text, the 37-year-old athlete has spent the last several months swapping jerseys with a myriad of other NBA legends. “Before he says goodbye, we surprised him with five more,” the commercial notes. The video then shows Wade walking onto the empty Miami Heat court. The lights in the arena are off, but the court is illuminated. “I have no idea who is coming,” he tells the cameras. “Like, literally, no idea.” The pro athlete is then separately greeted by five strangers. The basketball great is then greeted by a third woman, who tells him how her house burned down 10 days before Christmas, causing her and her family to lose all of their belongings. While Jolinda didn’t have a jersey to hand off to her son, she did present him with a purple robe that he had previously given to her when he bought her a church. One by one, the other strangers followed suit and presented the Olympic athlete with clothing items of their own. The man who hadn’t seen Wade in a dozen years handed him a blazer (the same one he wore on his first job interview) while the woman who couldn’t afford college proudly handed over her cap and gown.